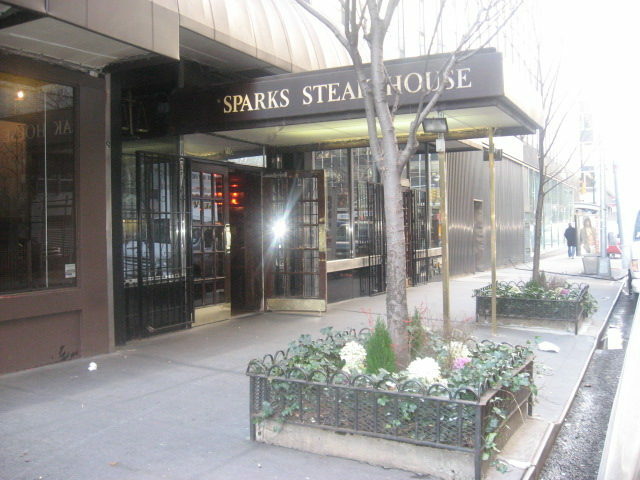 New York City is famous for its steakhouses, and since opening its doors at 201 East 46th Street in 1977, Sparks has been a carnivore crowd favorite. The essential components of a steakhouse are as follows: tables covered nearly to the floor with spotless tablecloths, set in dark, wood-paneled rooms; middle-aged men serving as waiters, their flawless manners stopping short of obsequiousness and their Brooklyn, Bronx, or Queens accents proudly on display; really good booze, like a Macallan single-malt whisky or a $100 bottle of Bordeaux; and of course the food itself: large, succulent meat portions, accompanied by baked potato heaped with butter, chives, and sour cream. 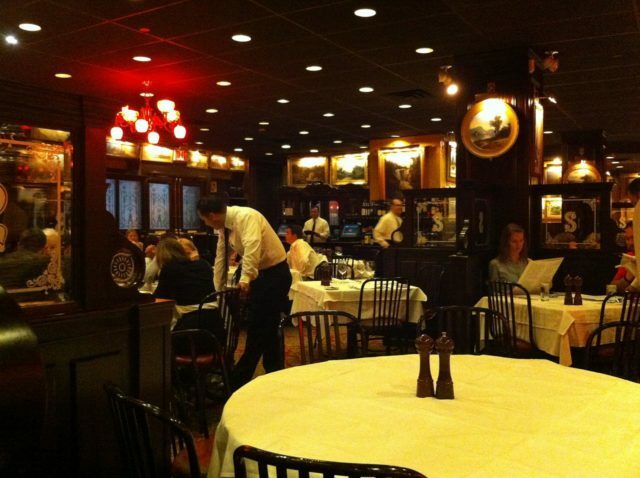 Since steakhouses haven’t changed much since their Mad Men heyday, you can assume that specific entrées found on a Sparks menu today—prime sirloin, filet mignon, and sliced steak with bordelaise sauce—were also on the menu in the 1980s. 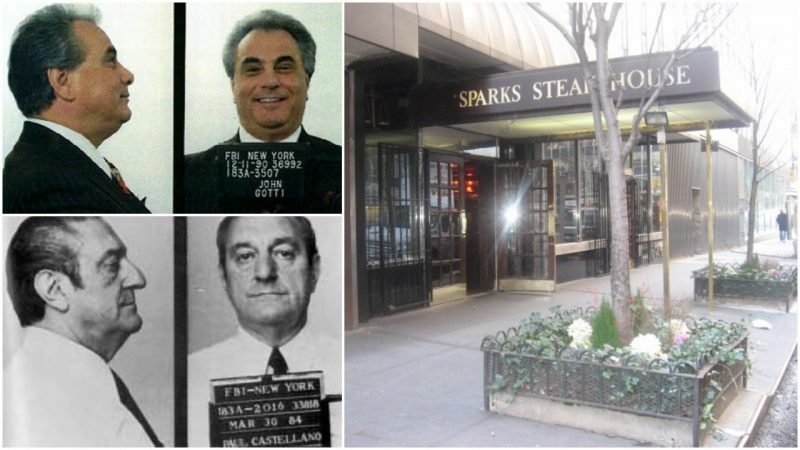 It was the prospect of a dinner plate graced by the third cut of a prime rib of beef that drew a 70-year-old man named Paul Castellano to Sparks on the evening of December 16, 1985. 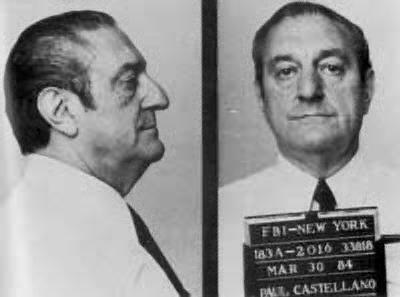 “Big Paul” Castellano was highly knowledgeable about meat, and not just because his father was a Brooklyn butcher. 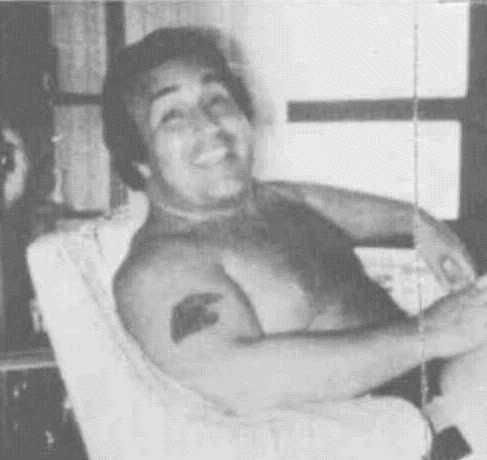 Since his friend, cousin, and brother-in-law Carlo “the Godfather” Gambino died of a heart attack in 1976, Castellano had been the boss of the Gambino family, considered the most powerful of the five families of the New York City mafia and worth an estimated $500 million a year. Aside from the usual racketeering, extortion, loansharking and control of certain unions, the Gambino group had a stranglehold on the concrete business and the supply of poultry and meat to much of the city. But that night, needing to meet with some Mob associates and wanting to combine it with top-notch food, Castellano was off Staten Island. Unfortunately for him, his enemies knew it. Just after 5:30 PM, a black Lincoln Continental driven by Thomas Bilotti, Castellano sitting in the back, turned onto 46th Street. Sparks is between Third and Second avenues, a short distance from the United Nations and just a few minutes’ walk from Grand Central Station. In the neighborhood, rich matrons finished Christmas shopping were heading back uptown, and crowds of business executives hurried to make their train at Grand Central, bound for suburbs like Scarsdale, New Rochelle, and Greenwich. Bilotti, Castellano’s 47-year-old bodyguard, driver, and underboss, eased the Lincoln to the side of the street in front of Sparks, right next to a “No Parking” sign. The fact that the car had a Patrolman’s Benevolent Association sticker in the window would later turn some faces red, though it couldn’t be such a huge shock 14 years after Officer Frank Serpico spilled his guts on police corruption. Castellano emerged from the car, not moving too quickly because of his age and his size—he was called “Big Paul” because he was six foot two inches tall and weighed 270 pounds–and in the dusk, four men wearing light-colored trenchcoats and fur hats snaked toward him on the sidewalk. Photograph of deceased Gambino family underboss, w:Thomas Bilotti. Pulling semi-automatics from their trenchcoats, the hitmen shot Castellano six times in the head and body, with Bilotti murdered in a salvo of shots as well. The foursome then jumped into a getaway, a black Lincoln Town Car with New Jersey plates, and the car squealed off. The shooting of a mafia boss during commuter rush hour on a respectable midtown-Manhattan street violated the “rules” on so many levels. When gangsters killed one another in New York City, it was either done in total secrecy, body parts drifting to shore weeks later, or at gritty social clubs or restaurant-dives, places like Joe and Mary’s Italian American Restaurant in Bushwick, where Carmine Galante was shot on the patio by a half dozen men wearing ski masks in 1979. Although jostling for power was a lethal reality of the mafia, the execution of a boss of one of the five families was rare. Charles “Lucky” Luciano and other criminal masterminds of Sicilian background had years ago come up with a plan for how to operate successfully. A “Commission” of mafia elders was set up and laws created to abide by, and one was that going after the boss of a family without majority approval of the Commission was forbidden. The punishment: death. The bosses, capos, and street soldiers of the other families could not help but look at John Gotti as the most likely murderer of “Big Paul.” Everyone knew that Gotti, a captain in the Gambino family, hated Castellano. Their latest dispute was about drugs. Castellano didn’t want his family trafficking narcotics, but Gotti did it anyway, specializing in heroin. Gotti loudly denied ordering the hit of his boss, while arranging for a meeting of the upper echelon of the Gambino family to decide the succession. In January he accepted the “vote” of some 20 capos that he should become the next boss. 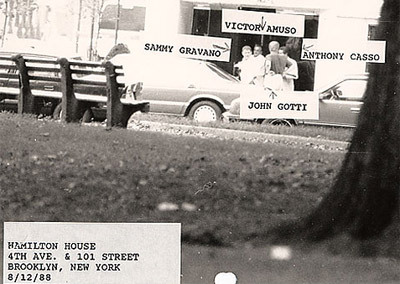 The truth was that Gotti was not only behind the rub-out of Castellano but he actually sat in his car a block away while the murders took place, next to “Sammy the Bull” Gravano, according to Gravano’s later testimony at trial. They communicated with their hand-picked assassins on walkie-talkie. As much as mafia bosses could be friends, Gigante had been a pal of Castellano’s, and he was ready to punish the man who killed him. Abiding by the rules, he sought out and got the permission of Antonio “Tony Ducks” Corallo, the head of another of the five families, the Luccheses. 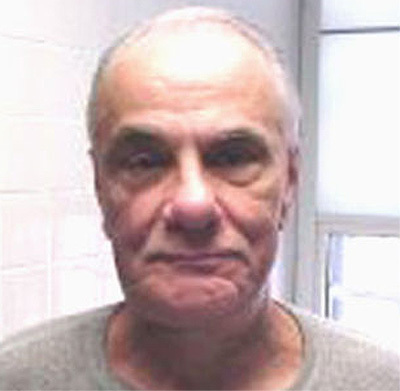 Gigante and Luchese decided to begin by taking out associates of Gotti’s, slowly moving closer to the target, tightening the noose, so that Gotti would experience maximum fear. Gigante had launched his plan, allegedly fire-bombing a Gotti crony, when law enforcement made its move. Goaded by Gotti’s smugness and the open secret of his killing Big Paul, the police managed to put recording devices in Gotti’s favorite hangout, the Ravenite Social Club. The tapes yielded a lot of incriminating information. 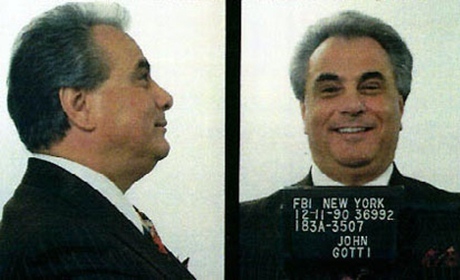 After a series of arrests, on charges that included murder, conspiracy to commit murder, loansharking, tax evasion, and illegal gambling, John Gotti could no longer wriggle free and was found guilty in 1992 and sent to prison without parole. He died there of cancer on June 10, 2002. He had managed to outlive his former boss, Paul Castellano, by almost 17 years.